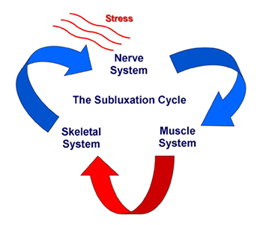 Chiropractic techniques fit into 3 basic models based on the three body systems primarily addressed by chiropractors. Chiropractic intimately involves itself with the skeletal system, the muscle system and the nervous system. Therefore, while all chiropractic techniques involve all three systems, the techniques themselves can be differentiated from one another based on their method of assessment and their method of correction. Since all three technique models work and produce good results, why would we prefer a tonal approach? The answer comes in understanding how the interference to a person’s nervous system takes place to begin with. Did the bone move out of place thus affecting the nerve which then affects the muscle? Bones cannot move by themselves so there must have been a muscle imbalance first. Did the muscle imbalance occur first thereby causing the bone to move out of its normal position?